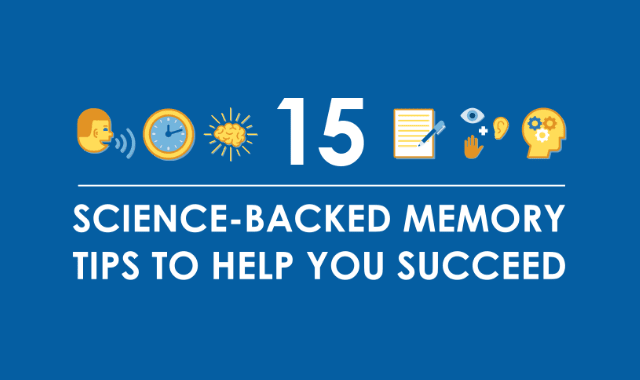 15 Science-Backed Memory Tips to Help You Succeed #Infographic ~ Visualistan '+g+"
Science has told us that we remember visual cues better than words. Scientists have seen more activity in the brain regions related to memory when we “encode” these visual memories than when we “encode” words. This is why slide decks work so well with pictures. You are more likely to recall a picture of a beach than just the word beach. In fact, studies have shown people recalling up to 2,000 photos with up to 90% accuracy.